There’s a silver commemorative tooth plate; a transparent tooth-shaped thingie which you can use for anything (maybe put a title underneath it? Maybe use it as a frame?) And then there’s a stenciled tooth and a chalk-y tooth: if you layer them on top of each other, they work quite nicely. But in the download I kept them separate in case you would want to use the stencil on the darker papers and the chalk-y one on the lighter papers… or for whatever you want to use them for. 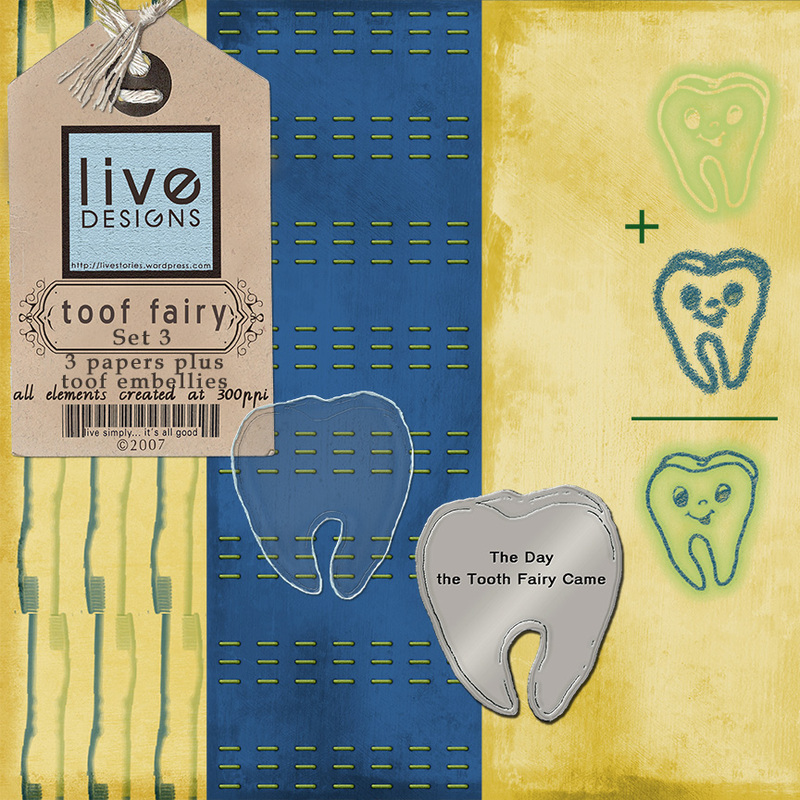 Tomorrow I’ll be back with the FINAL set in the Toof Fairy kit, and then we move on to new freebie kits! Woohoo!!! I’m so excited! Hope you are too! Thank you for the love you leave!